Spending the day time to explore and admire the stunning and beautiful landscapes and cultural and historical heritage sites in Hanoi, taking your night time to take part in a lot of interesting and exciting activities in the thousand – year – old city called Hanoi Weekend Night Market. There are many interesting and fascinating things at nightlife waiting for you to experience and discover. 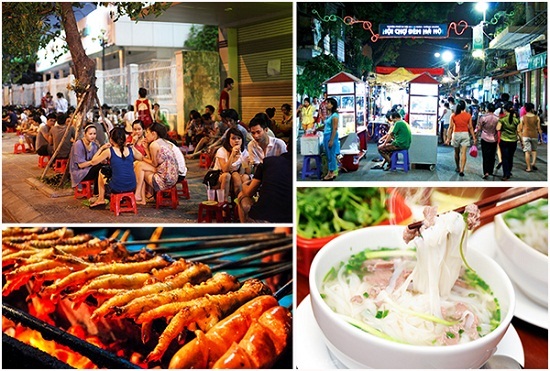 Hanoi weekend night market often takes place on Friday, Saturday and Sunday from 6: pm to 11: pm. 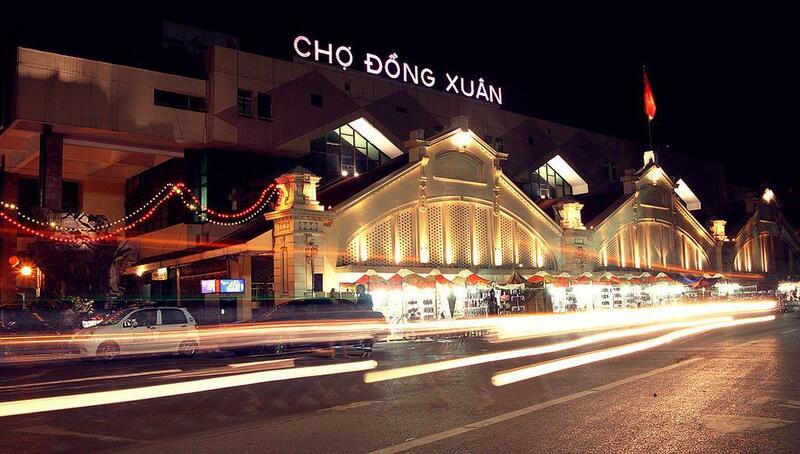 It is located in the heart of the Old Quarter of Hanoi. Coming here on these days, you will see a lot of people walking on the streets as on all of vehicles are prohibited from driving on the streets of the old quarter. Especially, you will see so many foreigners and most of them are Westerners who walk on the streets, sitting in the Bia Hoi junction and coffee shops. A very bustling and happy atmosphere at night that you can’t find anywhere. Not only that, on the Saturday night, you will have a chance to enjoy music performances which are performed on the streets and attract a lot of attention. These performances are performed with the style of folk arts as cheo singing, quan ho, ca tru, xam singing, in order to introduce and promote the culture and tradition of Vietnam to foreigners. Coming here and you will find how interesting and wonderful it is. There are many things sold along the streets of the old quarter. You will see many street vendors with many types of goods and they will ask you to buy some of them. In addition, you can buy souvenirs, clothing and others in the shops here. And do not miss the chance to taste the special foods and street food when enjoying Weekend Night Market. Making the use to enjoy some of Bia Hoi at Ta Hien Street will be a very fantastic experience. Last but not least, another way to enjoy weekend night market is just simply sitting alone in some coffee shop and seeing everything happening on the streets and around you. A gentle and peaceful feeling is what you will get at that time. 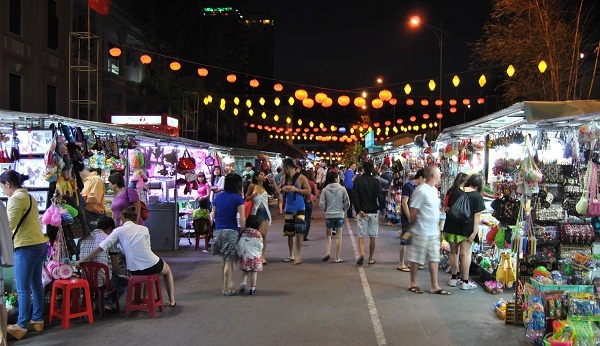 Let’s once give yourself a chance to find the special thing and feel the bustle and hustle of Hanoi weekend night market. Hanoi always has a lot of things to offer you.